Your dog will enjoy running, playing and socializing with other dogs and people while you are at work or if you just simply want your dog to have a good time while you are busy. 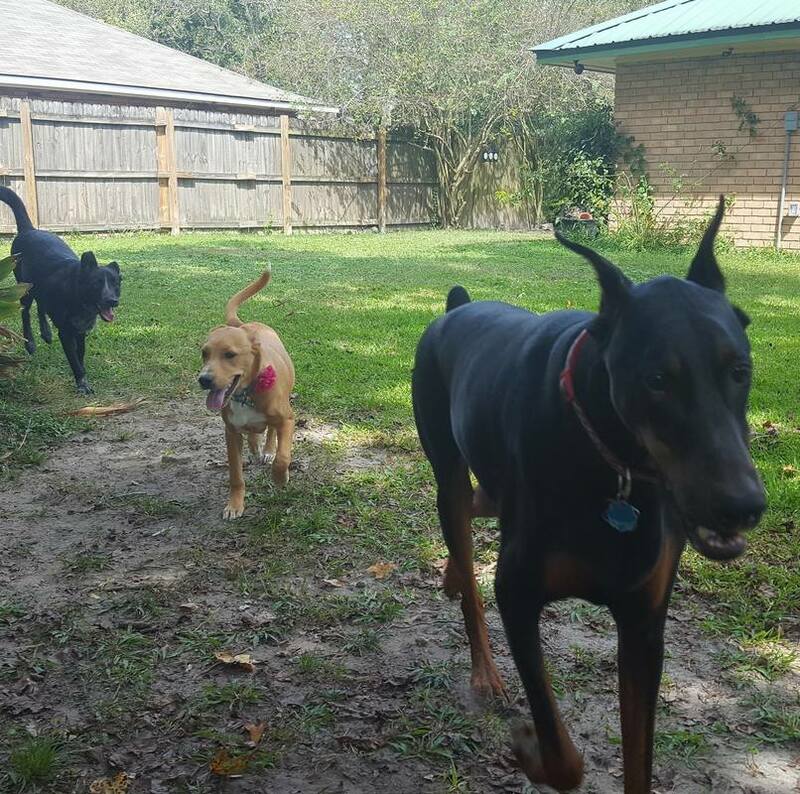 We provide daycare with one on one time and time with other dogs in a fun, stress free environment. Daycare allows you to go home to a tired, relaxed companion instead of a dog who has been in the house all day waiting for you to play with them. ​We offer 30 minute one on one training sessions with your dog while he/she is with us for daycare. We can help your dog with basic obedience, reactivity, advanced obedience, introduction to agility and positive socialization behaviors. ​﻿All daycare dogs require proof of current vaccinations and are required to wear a collar with identification. If you are not sure how your dog will do in daycare, please let us know when scheduling and we will schedule an evaluation prior to your daycare reservation date.